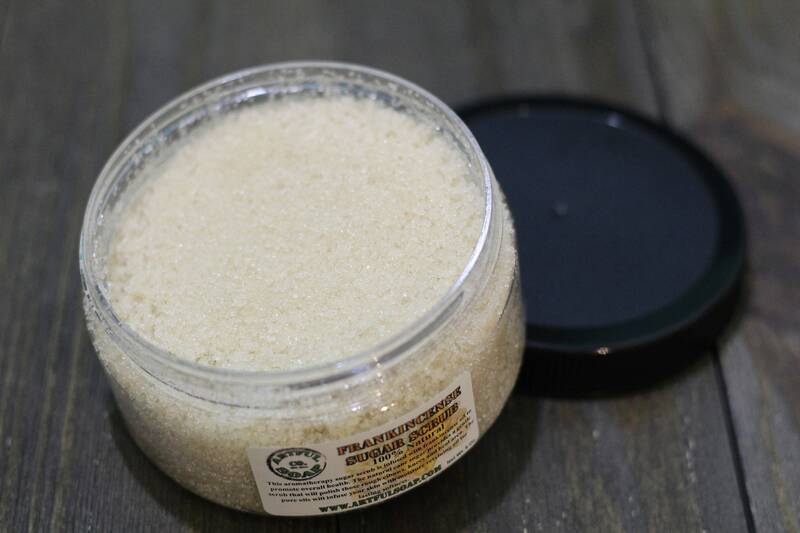 The softness of our sugar scrubs with the added benefit of pure frankincense essential oil. It is rapidly becoming a customer favorite in store! Try yours today! Some of the benefits of frankincense include: Reduction in heart rate and high blood pressure, boosts the immune system, helps destroy dangerous bacteria and viruses, acts as an antiseptic and disinfectant, strengthen skin and improve its tone, improve skin elasticity and defense mechanisms against bacteria or blemishes, reduces the symptoms associated with menstruation and menopause, lower levels of anxiety and stress, and decrease inflammation and pain. It has also been shown to help fight cancer by destroying cancerous cells and aid the body in eliminating cancerous tumors (independent laboratory claims) . Note: Artful Soap Co. does not warrant or support statements about cancer treatments. One should seek professional advice before using any cancer treatment. 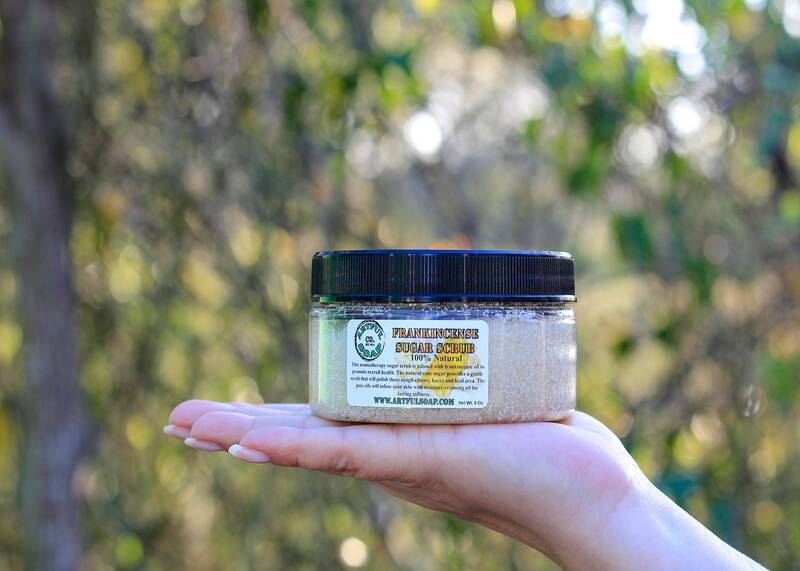 Artful Soap Co. is not responsible or liable for any product use regarding cancer treatment and is to be held harmless of any action against Artful Soap Co. for damages, loss, health issues, death or any other issues deemed to be cause by use of their skincare products. Artful Soap Co. is not a laboratory or medical facility and makes no guarantees to the treatment of ailments. This product is not intended to medically treat any ailment. Consult a physician if irritation persists. Results may vary and information used is based on consumer feedback and public knowledge. 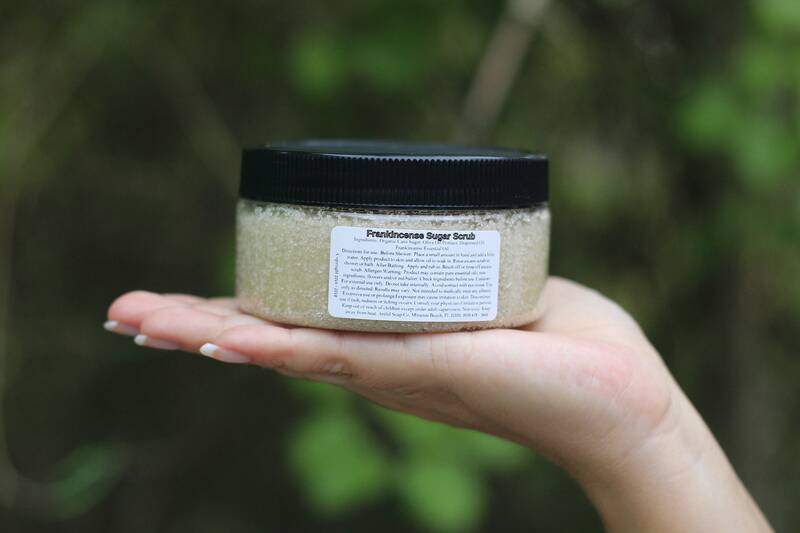 Ingredients: Organic Cane Sugar, Olive Oil Pomace, Grapeseed Oil, Frankincense Essential Oil. 8 oz. net wt.